For public sector IT Directors the procurement and tender process is rarely an easy one. Most will find themselves burdened with countless pitches for business from across Europe, many of them unsuitable. Or they will be subject to stakeholder influence, the internal machinations of public sector bodies, or a sudden change in the direction of wider transformation initiatives. Where are we now? Where do we want to be? In general, the drive to procure a new telecoms product is because the old one is no longer fit for purpose. That situation takes care of the ‘where are we now’ question. But what about the destination? It is crucial to have full awareness of the portfolio of products currently available on the telecoms market. For example, if the job of the public sector body is to field incoming calls (a tax enquiry service, perhaps) then a product such as SIP trunking would be ideal. SIP is a highly resilient and flexible service that can provide organisations with enhanced inbound call management functionality and the scalability to meet increased demand when required, at a significantly lower cost than traditional ISDN. It may also meet the requirement for an ideal product for a purpose, in doing so allowing the IT Director to circumvent the tender process entirely. There are two tiers of telecommunications supplier. Owner-suppliers and just suppliers. The latter offers services such as SIP trunking and cloud-hosted telephony, supplied via infrastructure that they do not own. It means that if there is a problem a third party may be involved before it can be fixed, increasing the client’s downtime. The former, on the other hand, owns the infrastructure they use. It means that enhanced service level agreements can be put in place to govern outages, downtime and how problems are remedied. The difference between the two supplier types is crucial. Part of the issue for public sector IT Directors is that the internal expectations that inform their decision to procure a new system can change. Whether because of political influence, stakeholder issues or the logistics of moving supplier. 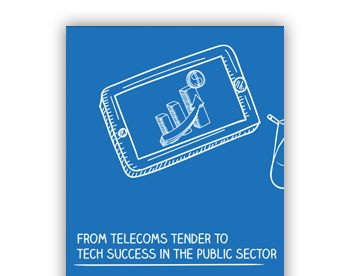 The best providers in the telecommunications market understand public sector pain points and can work with them. In practice this can mean knowing exactly how legacy systems work and effectively managing the transition. Or finding workarounds that meet the requirements of stakeholders, who may themselves be considering the needs of various telecoms user groups (all of whom will have their own needs). There is an ideal route from tender to supply. Moving from the OEJU notification going out across Europe, to the right product, from the right provider installed. But deviations from that map are possible. With one of the most common issues encountered by public sector IT Directors being lower level projects knocking the installation of an important new system off course. The supplier should be able to suggest ready-made solutions, such as staged roll outs of new products to avoid too significant a delay. Their ideas are what will keep the procurement process moving and ensure an easier working life for their IT Director colleagues. With so many factors that can influence a public sector tech-buying decision, IT Directors need providers that are on their side. Finding people to work with who know the pain points, have the solutions, and own their infrastructure is crucial to getting from ‘where we are’ to ‘where we want to be’.